Collagen is the most common protein in the human body and it plays a very important role. Collagen helps to shape tissue and keep it strong and firm. Collagen is a fibrous protein and is found in many of the body's vital systems including: tendons, muscles, bone, cartilage and skin. With age, the amount of collagen in the body rapidly decreases, leading to sagging skin and deteriorating joints and bones. Taking a collagen supplement helps restore youthful appearance, improve skin texture and condition, strengthen nails and improve the condition of your hair. 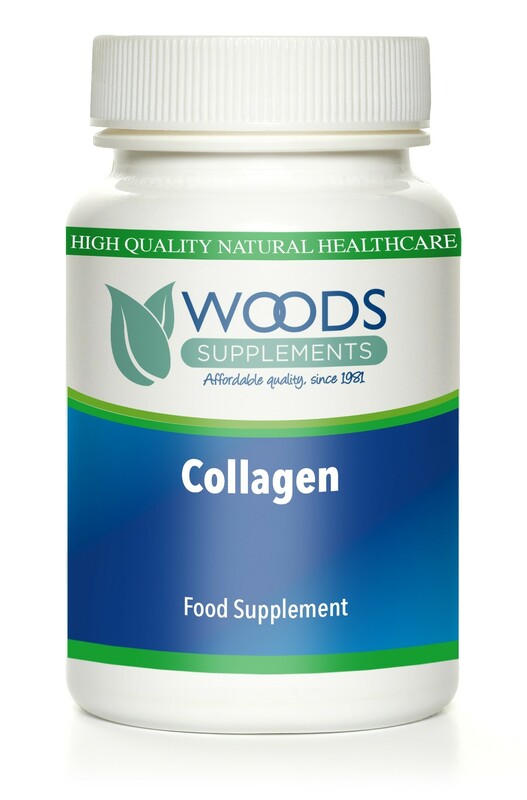 Woods Collagen tablets are hydrolysed which means that they can be effectively be utilised by the body to help replenish your collagen levels.